Federal contractors will now face a bevy of additional reporting requirements when seeking procurement opportunities. The House Small Business Committee held a hearing Tuesday to exam the Fair Pay and Safe Workplaces regulations. These new rules are expected to be finalized late this year or early next year and require federal contractors to document and report labor law and safety violations for their firm and all subcontractors when bidding for contracts above $500,000. WIPP supports efforts to rid the contracting environment of businesses with a history of abusive and neglectful violations, but these new rules will be particularly burdensome for small contractors. 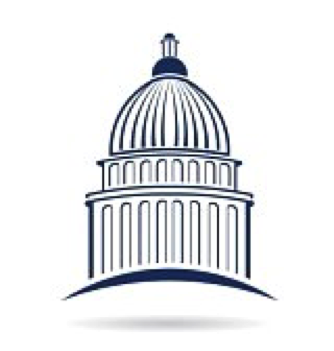 The House Committee hearing focused on the increased administrative burden that small contractors will face and how opportunities for small and women-owned businesses to enter the federal contracting arena will be affected. WIPP addressed many of these issues in its official comment, submitted earlier this summer. The hearing highlighted the likelihood that contractors may be “blacklisted” from contracting opportunities, a concern that WIPP expressed. The regulations require all violations to be reported, even infractions that have yet to be adjudicated. The contractor is not afforded the opportunity for explanation until the contract is likely to be awarded. The danger is that a contracting officer will simply pass over or “blacklist” a potential contractor rather than dig deeper into nature and validity of the reported infraction. This could leave many upstanding small and women-owned firms with unproven or minor violations unable to secure contracting opportunities. The hearing also stressed the duplicative nature of these regulations. Several witnesses noted how suspension and debarment procedures already exist. In its comments, WIPP recommended incorporating safe workplaces into the well-established system of suspension and debarment as an alternative to creating this enormous reporting burden. These reporting requirements will impose significant costs for small and women-owned firms. Not only will it require the business to submit excessive documentation, it will also require significant resources to research, gather, and report the necessary information for the small business and all of its potential subcontractors. Far from leveling the playing field for the millions of businesses playing already by the rules, these regulations will add to the tremendous burden facing small and women-owned businesses. This entry was posted in Government Contracting and tagged business, Contracting, environment, Fair Pay and Safe Workplaces, history, House, opportunities, Small Business, Small Business Committee, subcontractors, WIPP, women-owned businesses by wippgovernmentrelations. Bookmark the permalink.